And in putting on "Chinese Bones", I wondered afterward if I felt like finding the version of that song which marks one of the strangest cross-breeding events in late 20th century pop--namely, when, on September 24, 1988 at Madison Square Garden, Suzanne Vega joined The Grateful Dead on stage for two songs: her own "Neighborhood Girls" and, yup, Robyn Hitchcock's "Chinese Bones", which at the time was a pretty new song. About two years ago, when I was delving into the world of the Dead further than I ever had before, I sought out this version. Most Dead things are easy enough to find, at least for streaming purposes, on archive.org. I've also since found a downloadable version, and when I've listened to it I always want it to be so much better than it is. Suzanne Vega: sounds nervous. Starts the song much faster than the Robyn version. She starts to sing and stops, while the band finds its feet, deciding where the "one" is. They're heading for a train wreck before they even leave the station. After a minute, they find the groove and Vega starts for real--on the wrong beat! So the first verse is a free-for-all, where the "one" is "anywhere you want it to be, maaan!" I think the boys wanted her to have an instant initiation to their bizarre world. Billy and Mickey: the drummers sound like only one of 'em, not sure who, did his homework: namely that the snare plays on the 4 as opposed to the traditional 3. Thus, the drums are a cringe-worthy jumble for the first minute or two. Phil and Brent: sound like the only ones who listened to the song. The bass sounds good and the synth does its part pretty faithfully. Jerry: sounds like Jerry. In turn fumbling, noodley and occasionally sublime. I heard he learned the song backstage. What he plays has nothing to do with the Hitchcock version. Give him a break--he covered only 500 songs in his career. Bob Weir--I can't tell what he's doing. The band sounds like they're barely keeping up, but once the singing is over, they do the classic Dead thing, and turn it into a Dead song for a very groovy 3 minute jam, with Suzanne strumming along on acoustic. I'd always imagined afterward Suzanne storming through the backstage exit and into a cab, humiliated and embarrassed that these stoned 40-somethings took her big moment and turned it into a mess in front of 40,000 Deadheads who didn't know who she was. But, it turns out, nothing could be further from the truth. After all, two years later, she recorded not one, but two songs for the Deadicated tribute album. And here are two excerpts from interviews for proof. One with Jerry, a year before the MSG show, and one with Suzanne, from 2009, looking back fondly. Garcia y Vega--it warms the heart, it does. The big papa bear and the elusive fawn. JG: When I was in New York I went to see Suzanne Vega. JG: I love her. I offered to produce her next record. I'd love to do it, and I really have huge respect for her. I found her so real that I. . . She's very there. Whenever I run into these people, people who are getting into the music business, starting to build their careers and stuff like that, I feel protective of them. ..While working with Danger Mouse and Sparklehorse was a moment she'll always savor, nothing, Vega says, beats 1990. Just thinking back to that time puts a smile on Vega's face. "I was walking around New York and 'Tom's Diner' was this huge hit, and I remember standing by these truckers, who were unloading this truck, and 'Tom's Diner' was playing on this boombox they were listening to, and I was standing right near it and nobody knew that it was me," she says. "It was a great moment … I felt very embraced by the world that year. 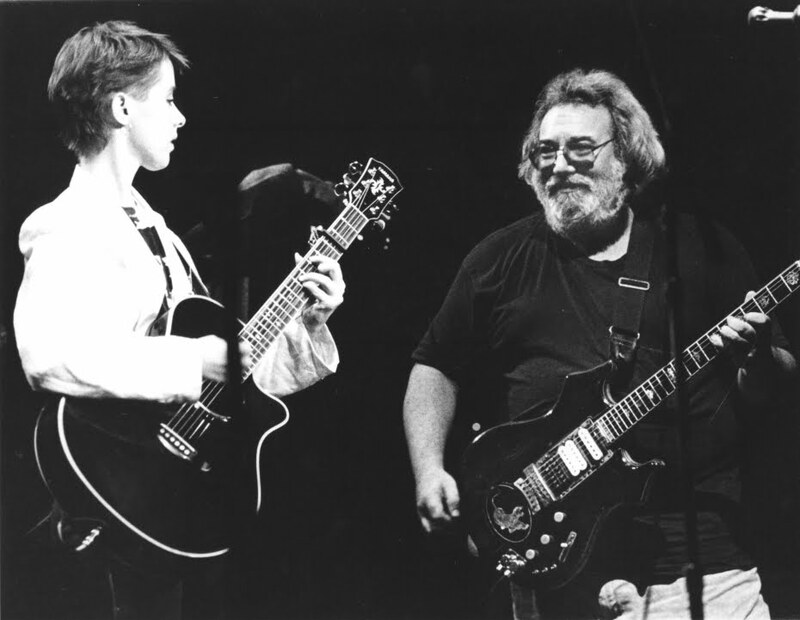 But nothing tops jamming with the Grateful Dead at Madison Square Garden." Back in 1988, Vega joined the Dead onstage for three songs. "That's a moment that will never be recreated," she says. "It was mind-blowing. It was amazing. 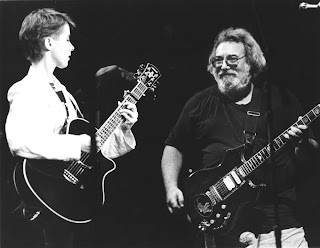 There was something about that moment and Jerry's energy…We liked each other and there was this nice spiritual connection there."